The Dallas forward group has been decimated by injuries already. But there was good news over the weekend when Ales Hemsky was able to make his season debut. Then there was bad news. Hemsky is out again and has been placed on injured reserve. Hemsky aggravated a groin injury, according to the Dallas Morning News’ Mike Heika. He is expected to miss some time, but the team has not yet offered any specifics on his timeline, though he will miss the two-game series against Winnipeg this week for sure. In his place, the team has recalled Justin Dowling, who has two goals and eight points in five AHL games this season. The undrafted forward is a great story. He spent time in the ECHL and climbed his way up through the ranks. Over the summer he had offers in Europe and decided to stick in Texas and chase his dream of playing in the NHL. If he plays on Tuesday, it would be the undersized 26-year-old’s NHL debut. Additionally, Jason Spezza “irritated an injury” and is considered questionable for Tuesday’s tilt against the Jets. The Stars are also without Patrick Sharp (head), Jiri Hudler (illness), Cody Eakin (knee), Patrick Eaves (lower body) and Mattias Janmark (knee). To say the least, it’s probably a fortunate time to be playing the Stars. They won’t be a pushover, but that’s a lot of top-nine forwards and power play weapons that are out of the lineup. The Boston Bruins have recalled goaltender Malcolm Subban on an emergency basis, the team announced Monday. Tuukka Rask was not participating in practice and the Bruins did not offer an update on his status. Though, an emergency recall gives some idea of how well things are going there. As if that wasn’t worrying enough for Bruins fans, backup goaltender Anton Khudobin was injured during practice according to multiple reports. The injury appears to have something to do with his right arm or wrist. The team has not shared details on his ailment. Subban has played one NHL game, which came during the 2014-15 season. The highly regarded prospect had his season cut short last year after he suffered a fractured larynx after taking a puck to the throat. While there’s plenty of bad news in Boston, the team got a bit of good news as well. Defenseman Adam McQuaid has been cleared to resume play. The 30-year-old has been sidelined all season with an upper-body injury. He could make his season debut against the Wild on Tuesday. The Toronto Maple Leafs waived Milan Michalek on Monday, the same day they claimed former Leafs forward Ben Smith off waivers from the Colorado Avalanche. 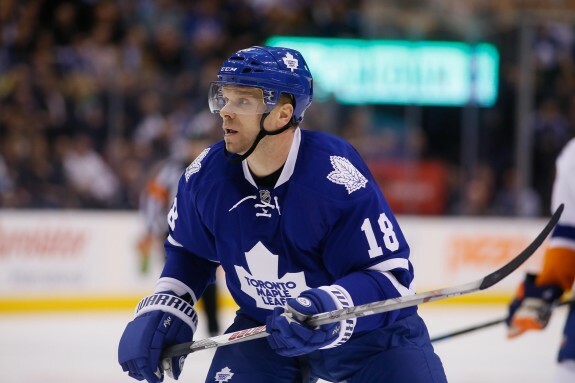 Michalek has battled injury since arriving in Toronto as a part of the Dion Phaneuf trade last season. This season Michalek has a goal and an assist in five games while seeing limited ice time. He saw the ice for less than 14 minutes in each of the team’s last two games. Who stands to benefit immediately from this move? Connor Brown. The young forward was moved up onto a line with Nazem Kadri and Leo Komarov during Monday’s practice. The Colorado Avalanche have recalled highly regarded prospect Mikko Rantanen. He’s been dealing with an injury from the preseason and could make the Avs even more exciting to watch. Rantanen tore up the AHL last season and could be in store for a very big season. UPDATE: The #Avs have recalled Mikko Rantanen from the @sarampage. Vancouver has surprised just about everyone by starting the season as the hottest team in the NHL. They were only handed their first loss over the weekend, falling twice in California. As was the case with the Montreal Canadiens last season, teams that get off to a hot start can be derailed by injury and the Canucks are about the first challenge to their depth. Both Alex Burrows and Derek Dorsett sat out of Sunday’s loss to the Ducks, replaced by Alex Biega and Jack Skille on the roster. It now appears that those absences could last about a week, according to Ben Kuzma of the Vancouver Province. Chris Tanev is also banged up, but his availability for the team’s next contest isn’t yet clear. In response, the team has recalled Jayson Megna and small defenseman Troy Stecher, who won a national championship with the University of North Dakota last season. If Stecher draws into the lineup, he’ll be making his NHL debut. 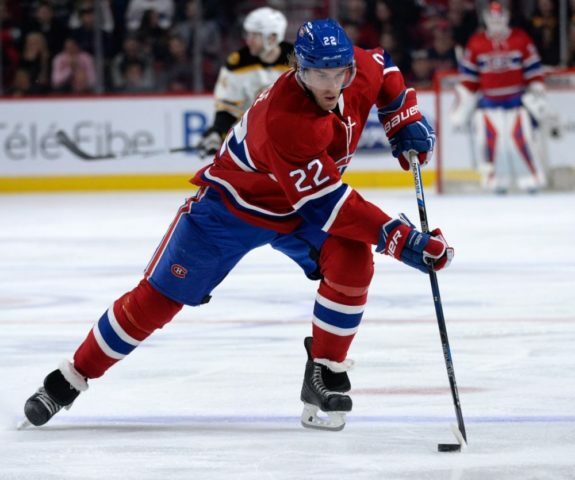 Former Hab Dale Weise was asked about P.K. Subban being a distraction in Montreal. Speaking on TSN 690, he gave an interesting answer that doesn’t really go with the official party line in Montreal. The Predators have recalled defenseman Matt Irwin from AHL Milwaukee, the team anounced Monday. There was no corresponding move, so it’s not clear who he may be pulled into the lineup for, but the team is dealing with a bad bought of food poisoning. Those illnesses saw the team recall a slew of players from Milwaukee for their last contest, which they managed to win. No update has been offered on the status of players impacted by the food poisoning. The team does not play again until Wednesday, so there may not be an update until a little closer to that game. – The ECAC has suspended Quinnipiac freshman Logan Mick for one game. The infraction comes on a hitting from behind penalty against Boston University on Saturday, a 3-0 loss for the Bobcats. Mick, who has suited up for two of Quinnipiac’s six games this season, will miss Tuesday’s contest against UMass. – Olympic gold medalist Shannon Szabados has been released by the Peoria Rivermen of the SPHL just two games into the season. After taking two blowout losses, the team released both of their goaltenders, according to Puck Daddy. Additionally, PJStar.com reports that defenseman Carl Nielsen has been placed on “indefinite suspension” because he quit the team after learning Szabados had been cut.